CAN you believe that Westlife has been around for over 13 years? The Irish quartet composed of Shane Filan, Kian Egan, Nicky Byrne and Mark Feehily (fifth member Brian McFadden left the group in 2004) has sold over 44 million records worldwide and is one of few remaining boybands to have survived the first decade of the millennium—and still touring and making records. On September 29, Westlife returns to Manila for their Gravity Tour 2011. The Manila Times caught up with Westlife member Shane Filan and asked him about fatherhood, his relationship with his bandmates and how he really feels about music-sharing over the Internet. The Manila Times: Where are you exactly and what’s outside your window? Shane Filan: I’m in a hotel in London, and I see a few trees outside. TMT: You guys have been together for quite a long time, to what do you attribute your longevity in this industry? SF: We’ve been pretty blessed to be given the chance to share our music with the world. I think the fact that we’ve pretty much stayed the same since we started has something to do with it. We’ve focused on the music and stayed true to the formula that has made us successful. TMT: You and your bandmates have grown up together all these years. Tell me about the relationship you have with them now. SF: Well, definitely we understand each other a bit better now. We’ve grown closer and we all have families now. We’ve known each other for almost 12 or 13 years now and certainly we work better now more than ever. We go out and have dinner together when we get the chance or when we’re not working. We still get a bit silly with each other from time to time (laughs). TMT: I understand you and your wife Gillian now have three kids. What’s fatherhood like? SF: Oh being a father is just amazing. We have three beautiful kids—our daughter Nicole Rose is six, Patrick is three and our third child Shane Peter is a year and a half. They’re just lovely. They brighten up my day, my kids and my wife. I do everything for my kids. TMT: What sorts of things do you like doing with your kids? SF: Just spending the day with them is enough. We go take walks and go to the playground. On holidays we like to travel together. My daughter is learning to swim now and those moments with them are just priceless. TMT: How do you feel about the shift in the music industry now, how music is being distributed digitally over the Internet? SF: I guess that’s just how the world is now. The music industry is changing. For me, as long as the fans get their music, it’s okay, but of course, the record companies have to make money too because that’s the only way they can keep discovering new talent and new music can reach even more people. It’s pretty hard. TMT: You’re coming back to Manila to perform for your fans. What can they expect in this show? SF: We’re going to put on a great show. The Gravity Tour is in support of our album, so our fans can expect that we’ll be performing all of our greatest hits. TMT: Are you going to have time to maybe go around and see the sights, maybe go to the beach, while you’re here? SF: You know we’d love to. I’m not sure yet what the situation is. We’ll be there for three days, I think we’re doing some promotional stuff for the album, but other than that, we’re hoping to just find time to relax before the big show. Westlife debuted in 1998 when they opened for Boyzone and the Backstreet Boys in Ireland. Since then they have received many awards and broke numerous records worldwide. In the UK alone, they’ve had 14 no. 1 hits. Westlife is the fourth biggest selling boyband in the world with over 44 million albums sold. Gravity Tour is Westlife’s 11th concert tour to date. Known for their impressive concerts, for this tour the group collaborated with creative director William Baker, known for his work with Kylie Minogue, Leona Lewis and Bjork. 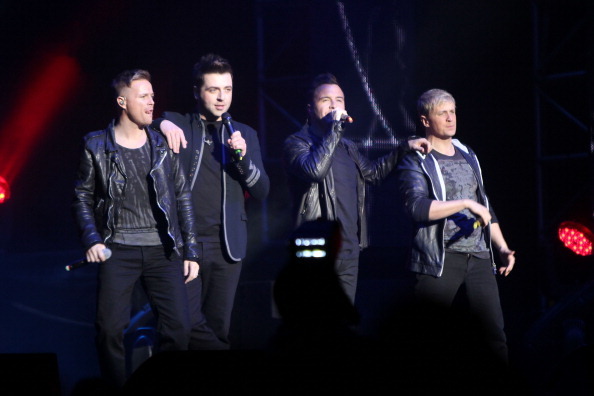 Although five years have passed since the group’s last appearance in the Philippines, the return of Westlife has been greatly anticipated by their longtime fans. Westlife’s local fanbase has been active throughout the years, especially the members of Official Westlife Fan Club Philippines and Westlife Philippines who have joined forces to support their favorite group. For more ticket information and reservations, log on to http://www.ticketnet.com.ph or call Ticketnet at 911-5555.